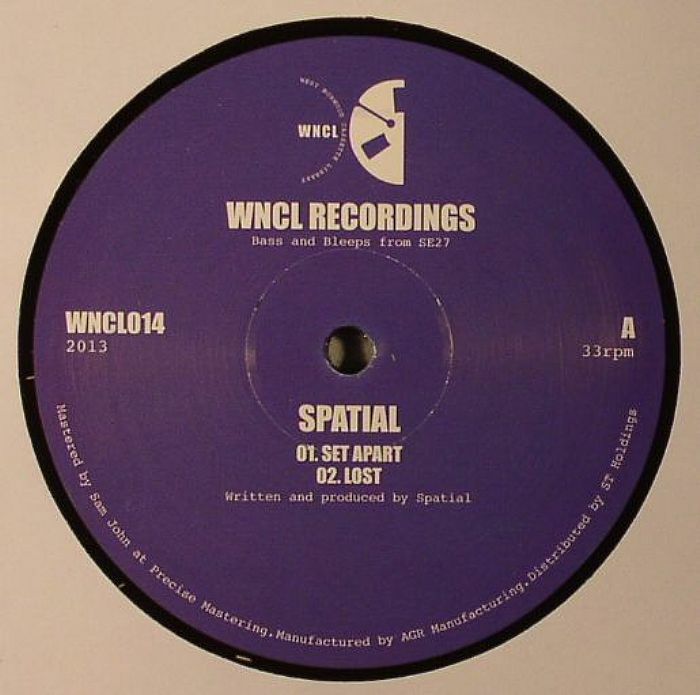 SPATIAL Set Apart vinyl at Juno Records. 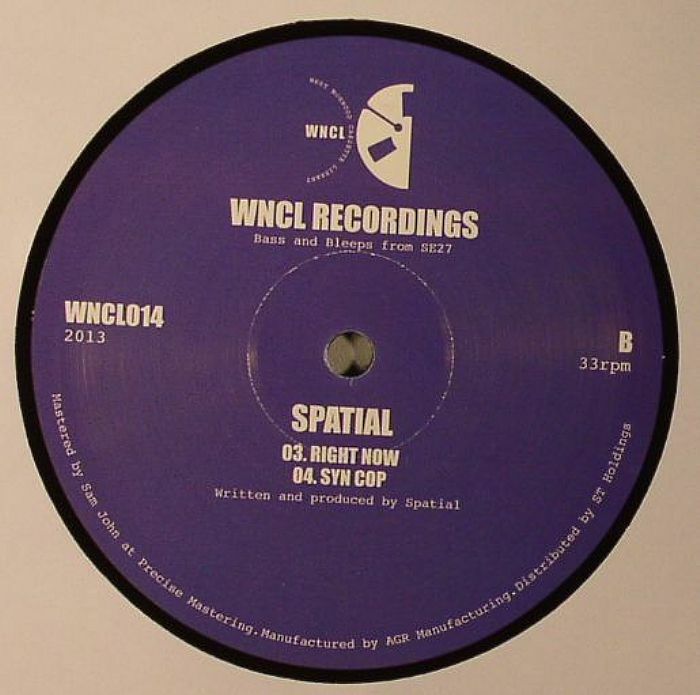 UK producer Spatial continues a prolific year with Set Apart, a new 12" drop on WNCL, and the Infrasonics first dalliance with Bob Bhamra's excellent label who've really carved a singular niche in the current basscape in three years of existence. Four tracks deep, Set Apart sees Spatial run the gamut of contemporary hybridism; the rowdy, slanted UK Garage of the tuff title track and the scrambled gabba styled beats of "Lost" make for a fine A Side pairing, whilst face down the sweet set house of "Right Now" contrasts markedly with the searing Daft Punk circa 97 stylings of "Syn Cop".